As with any new initiative, there will be some challenges that have to be met before you begin seeing a payback. If you start by building a sense of pride, it will increase the chance of success. In other words, create an environment where people know they have to be good to work in the organization. Employees get credit for the work they perform and know they will be objectively evaluated. Managers get data to monitor their employees and a true picture of their operating effectiveness. Both employees and managers can get incentive rewards to further strengthen their support of the program. However, no matter what the challenge, management must always reserve the right to manage. Acceptance and morale can actually go up with the proper implementation of a Labor Management Program. Companies sometimes think that stories of productivity gains are overrated, but there are a lot of what appear to be documented stories that show productivity gains in the 20% to 30% range. 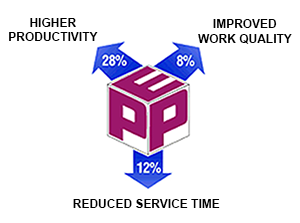 Initial productivity increases of 16% with an additional gain of 12% for clients moving on to incentives. 50% of the incentive gains were shared with the employees. Merchandise turn times were reduced by 12%. 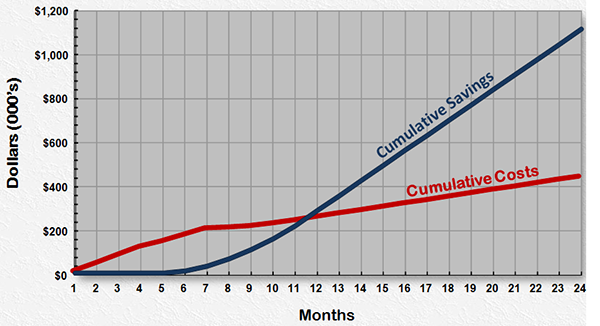 Our experience shows that project break-even, based on cash flow analysis, is between 10 and 14 months. Third Party Processor: Did not know where temps were and what they were doing. Installed centralized temp assignment and used PEP to monitor performance. Temps reduced from 120 to 40. Multiple Fashion D.C.'s: Implemented the PEP Performance Review module to identify employees with a 100 hour Productivity Index less than 70%. Retrained, or if unsuccessful, dismissed employees. Specialty Retail D.C.: After being on the program for four years, and achieving initial productivity gains, implemented the PEP Pay for Performance Incentive module. Overtime virtually eliminated. Bottom line: There are significant gains that can be achieved by implementing an effective Labor Management Program.